Ningxia Province is the smallest and least discovered regions of China. It has a rich diversity of landscapes, cultures, and tourist attractions that are just waiting to be explored. 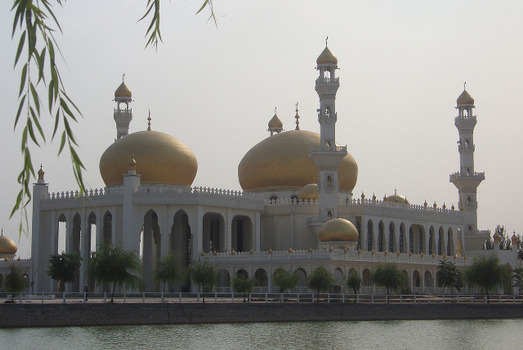 Better known as Ningxia Hui Autonomous Region, it is located in the northwest of China. The terrain is an unusual mix of lush steppe grasslands fed by rivers and cold and arid deserts. Just like the topography, the people also belong to different ethnic groups, making it a very interesting region. The Ningxia Autonomous Region is one of the five big ethnic minority autonomous regions of China. It is a landlocked area surrounded by the Gansu Province in the south, Inner Mongolia Autonomous Region in the north, and Shaanxi Province in the east. In the north, the basin formed by the middle and lower reaches of the Yellow River covers a large part of the Province. It cuts through region making it green with dense forests and fertile farmlands. In the southern areas of Ningxia are the mighty Liupan Mountains. The Tengger Desert in the Shapotou region is China’s fourth largest desert and a popular tourist attraction. Ningxia Autonomous Region has temperate continental kind of climate. The summers are short and hot while the winters are long and chilly. There is a large difference in the seasonal temperatures. In the winter season, the temperatures fluctuate between -7oC and -15oC with January being the coldest month. The summer temperatures range between 17oC and 24oC with July being the warmest. Summer is the best time to visit the region to avoid extreme weather. The 5.62 million population of Ningxia Autonomous Region is mostly concentrated in the urban areas. The well-developed cities with the best infrastructure are the Yinchuan (capital of Ningxia), Shizuishan, Wuzhong, Zhongwei, Guyuan, Lingwu, Qingtongxia. One-third of the population belong to the Hui minority community and are involved in large-scale agriculture. There are other minority groups who are spread across the region. The people living near the mountains are involved in animal husbandry and live in small towns or villages at the foothills. In fact, in the county of Yanchi, animal husbandry (sheep and goats) forms a major occupation and a big contributor to the economy of the region. The old nomadic pastoral ethnic groups in some of the areas are now involved in a semi-pastoral lifestyle by maintaining both grazing lands and farmlands. 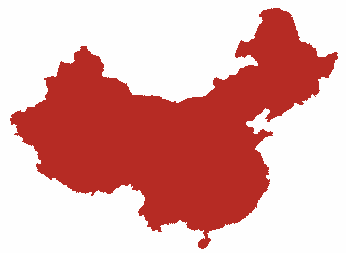 These lands are the largest producer of wolfberries in China. Other items produced in Ningxia are licorice, sheepskin items, fiddlehead, and Helan stones (ink stones). In recent years, vineyards have been developed on the eastern foothills of the Helan Mountains leading to the large-scale production of wine. Other industries include machinery, chemicals, raw materials processing, home appliances, animation, etc. The Ningxia Autonomous Region is a historically and culturally rich region since ancient times. There are prehistoric sites like the Shuidonggou Paleolithic Site, Gezishan Paleolithic Site, Caiyuan Neolithic Site, etc. that provide a glimpse into the rich prehistory culture of the region. There are also countless sites that showcase the grand Imperial history of the region like the Great Wall of Qin, Kaicheng Yuan Site, Xixia Tombs, Dong Imperial Residence, Xunziliang Tang Tombs, etc. The Sumeru Grottoes, Xumishan Grottoes, One Hundred and Eight Stupas, and the rock art on the Helan Mountains are some of the best examples of religious and historical relics. Ningxia was the main trade and transport hub during the Tang and Han Dynasties. During the Ming Dynasty reign, the portion of the Great Wall of China in Ningxia was built to protect this prosperous region, as seen by the ruins. Besides the Yinchuan Hedong International Airport, there are three feeder airports in Ningxia Autonomous Region. With the development of five major national highways, two railway routes and the Taole Yellow River Expressway Bridge, traveling within the region has become very easy. The combination of air, road, rail, and water transport systems make even the remotest tourist attractions easily accessible irrespective of the terrain. Although Ningxia does not feature in the popular tourist circuits of China as yet, it is a huge treasure-trove of tourist attractions. The wonderful mix of cultures is also evident through the existence of Baisikou Twin Pagodas, Haibao Pagoda Temple, Chengtian Pagoda, Kangji Pagoda, Tongxin Great Mosque, etc. Modern attractions include the Ningxia Transportation Museum and the Ningxia Museum and China Hui Culture Park, among others. The cuisine of Ningxia consists of Chinese as well as Muslim specialties. The meat usually consists of poultry like hens, ducks, and geese. The meat of other animals and blood food is forbidden as per the Islamic doctrine. But the Chinese dishes contain mutton, chicken, and pork as well. Some of their popular dishes are Youcha, instant-boiled mutton, fried sheep’s tails, rinsed mutton, grabbed mutton, steamed dove fish, mutton with wolfberries, etc. But the most famous signature dish of the Ningxia Autonomous Region is perhaps haggis, a bowl of sliced mutton, vermicelli and diced Chinese pancake soaked in hot broth with chopped chilies and scallion.